This registration is limited to those members who have paid the one-time $500 Lifetime Membership fee. Members are entitled to bring one guest to the event free of charge. VWC Members are those attendees who have a current, paid membership with the state-level organization (specific chapter memberships only do not qualify). Members are entitled to bring one paying guest to the event. Please RSVP by 31 October 2010. 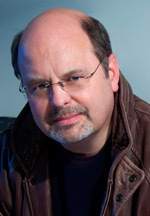 John Gilstrap, a Virginia-based New York Times bestselling novelist and screenwriter, has authored seven popular thrillers, including this year’s release Hostage Zero, which is the second in a series featuring Jonathan Graves – a freelance hostage rescue specialist. John also adapted his debut novel Nathan’s Run and three other best-selling novels for the big screen. Check out www.johngilstrap.com for further information. The Inn is located on the grounds of historic Mt. Vernon, just south of Alexandria, Virginia, and accessible by Route 95, Route 1, and the George Washington Memorial Parkway. Detailed driving directions are available on Mt. Vernon's website at www.mountvernon.org/visit/plan/. 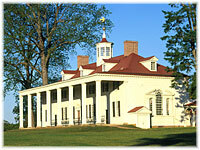 For mapping purposes, the Mount Vernon Inn is located at 3200 Mount Vernon Memorial Highway, Mount Vernon, Virginia 22309. Two large visitor parking areas for Mt. Vernon, located a short walking distance away from the Inn, are free to guests.